Kent Madin's work on the Greater Gallatin Toilet Tradeout in Bozeman during the summer of 2008 is highlighted in the most recent issue of the EPA's WaterSense Current. BCF now has a webpage here BCF HOME with details of the MonEcoSan toilet project and the Mobile Ger Clinic in the Darhat Valley. 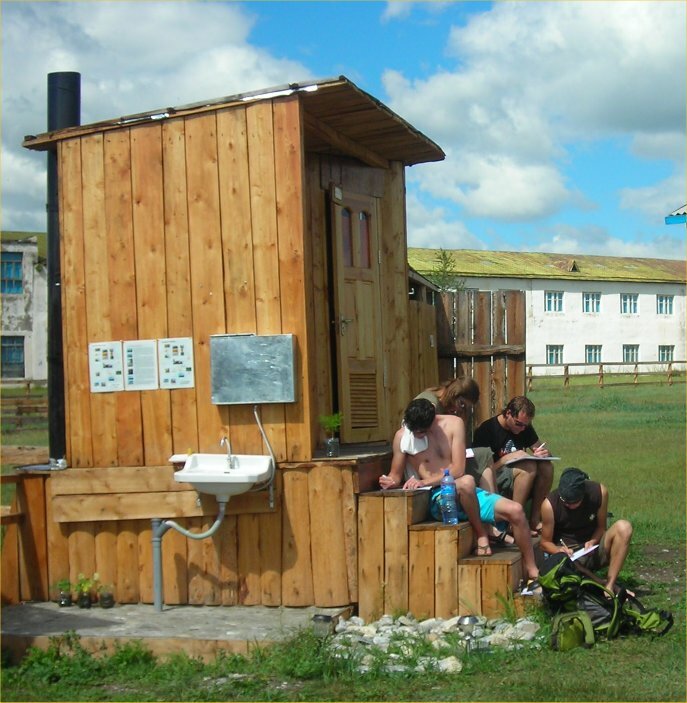 It says something about your toilet when people sit comfortably (no odor, no flies) on the front steps to fill in user surveys! The first meeting of shamans in Khovsgol was organized at the Saridag Inn, just before Naadam, by Kent Madin and Mishig Jigjidsuren. The purpose of the meeting was to discuss ways that tourism could help to sustain the practice of shamanism in Mongolia, without commercializing the practice. All agreed that an "organized" religion like Buddhism or Christianity is much easier to support financially since there is an organizational structure which can accept and distribute donations and other income. The group discussed how to involve local shamans in workshops at the schools, to keep the practice vibrant and alive in the eyes of young people. It was finally decided that the group would collectively make one new set of shaman "gear" (coat, drum, boots, hat, etc.) each year so that the set could be displayed for education and periodically auctioned to raise funds for the shaman society. For as long as Boojum has run horseback treks in the Darhat Valley our head wrangler, Niamhu, has been wrestling in Naadam. 2007 was his year when he took top honors and took home both tugrogs and a foal. Niamhu came back from a badly broken leg two years before and a nasty face plant off a motorcycle just a few weeks before the competition. He is now a "falcon" ranking and everyone at Boojum and KLM is proud of his big win. Niamhu, winner of the 2007 Renchinlhumbe Naadam and pride of the Mongolian staff of KLM and Boojum! 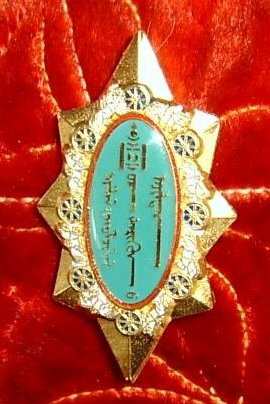 Kent Madin becomes an Honorary Consul of Mongolia. 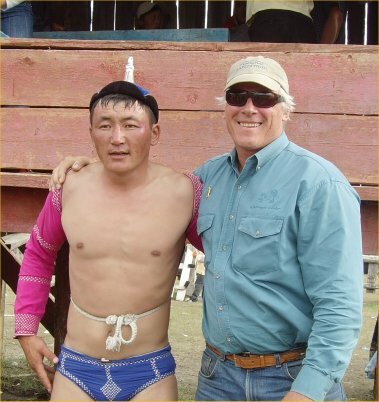 Early in 2007 the Mongolian Government confirmed Kent Madin, co-owner of Boojum Expeditions, as the first Honorary Consul of Mongolia for the Northern Rockies (Montana, Wyoming, Idaho). In addition to the perks of being able to fly the Mongolian flag on his car and obtain special consul license plates, Kent's main responsibilities are to facilitate exchange and cooperation between Mongolia and the Northern Rockies. With native speaking Mongolians working in the Boojum office, Kent's appointment creates a strong link for Americans from the region with interest in Mongolia and provides a point of contact for Mongolian nationals in the region. 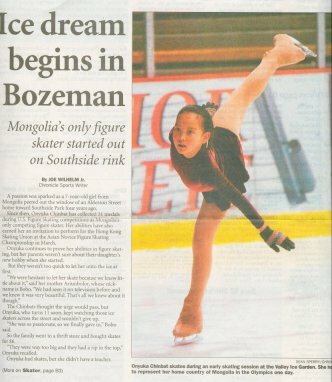 Bozeman Chronicle Article on "Mr. Mongolia". Boojum Charitable Fund (BCF) receives non-profit status. BCF received it's letter of determination from the IRS making it a 501 (c) (3) tax exempt corporation. BCF works to facilitate exchanges between Montana and Mongolia and supports a variety of community development projects in specific areas of Mongolia, with donations from Boojum Expeditions' clients who seek a targeted way to give back to the people and communities who have welcomed them. Introduction of new toilet systems which improve sanitation and water quality. Support for Renchinlhumbe School's English Language Program including recruitment of volunteer English teachers. Dr. Miklos Salgo's contributions through BCF are specifically funding a mobile clinic in the Darhat Valley and providing individual first aid kits and training in their use to families with young children. 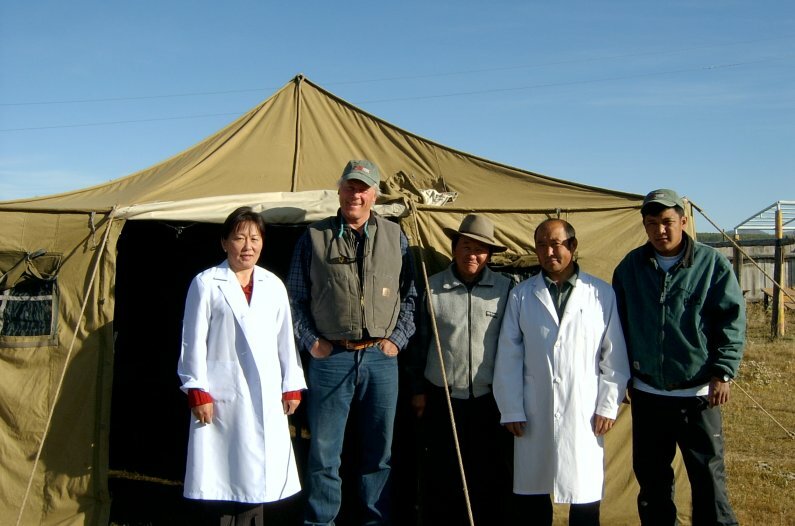 In June 2006 Ambassador Bold of Mongolia visited Montana to further the growing connection between his country and the State of Montana. One highlight of the visit was a proclamation by the city of Bozeman, declaring Bozeman and Muren, capitol of Khovsgol province, to be Sister Cities (or Sibling Cities for the Politically Correct). While largely symbolic at this point, the relationship gives new impetus to local organzations already working in the Khovsgol region. Kent Madin of Boojum Expeditions played a key role in sheparding the process forward. Pictured at the signing ceremony were City Manger Chris Kukulski, Mayor Jeff Krauss, Ambassador Bold, Kent Madin and J. Mendee. Our Uruguay Beach Ride got lots of press this year. Outside Magazine included it in "Best Trips 2005", National Geographic Adventure called it one of the "World's 25 Wildest New Trips" and Trail Blazer magazine featured Juliet Crump's Uruguay article about her first foreign horsetrek. Chris Welsch of the Minneapolis Star Tribune describes his experience in Uruguay here. 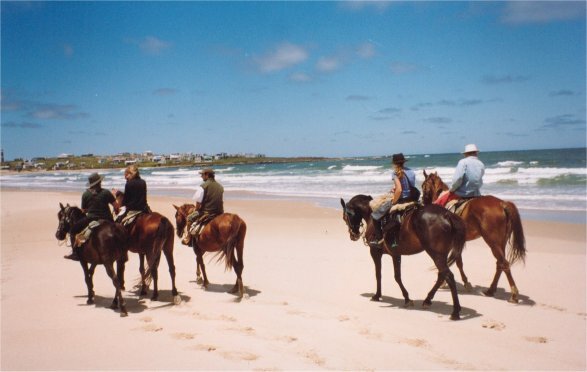 Sue Piozet and Hilary Stewart went on the Uruguay Beach Ride in November 2004 and posted two albums of their trip photos. Click here to see Uruguay album ONE and here for Uruguay album TWO. Our Tibet ride this summer to the high grasslands of Aba prefecture in Eastern Tibet filled early. Linda Svendsen will be leading the trip for the 12th time. Last year Linda was able to complete her promise to head wrangler Solang (pictured here to Linda's left on the 2003 ride) to bring him to Montana and return the hospitality she has enjoyed for so many years from Solang and his family. If you are interested in traveling to Tibet this summer, contact us about a second departure. 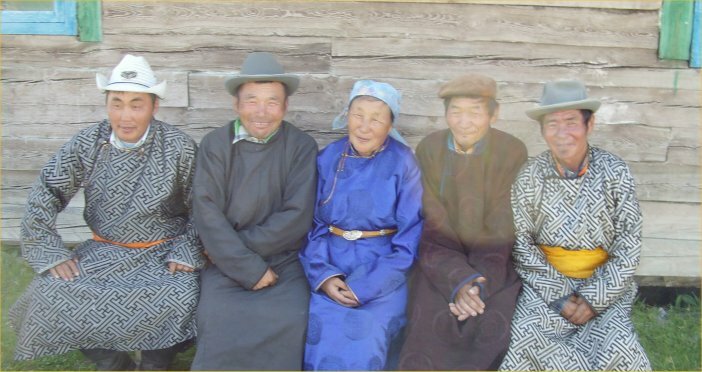 Sophie and Mark Boroditsky (Khovsgol Horseback Trek) along with Carol Carey made a special effort to provide school clothes and supplies for needy students in remote Renchinlhumbe. They posted their trip photos on the web. Click here for their Mongolia album. To their pleasant surprise, Kent Madin, Director of Boojum Expeditions and J. Mishig (KLM partner) were given awards by the Mongolian government for contributing to tourism development in Mongolia. Kent is only the second foreigner in history to receive the "Outstanding Leadership in Tourism Development" award, given by the Ministry of Infrastructure (pictured at right). The award recognized not just business performance but innovation and support for a wide range of local initiatives in tourism. Among the projects cited were the Darhat News, the School Ger Camp project in Renchinlhumbe, Khovsgol and distribution of ski parkas as work uniforms for National Park employees. (The parkas are donated through a program called SWAG based in Vail, Colorado which provides clothing from various Colorado ski areas). 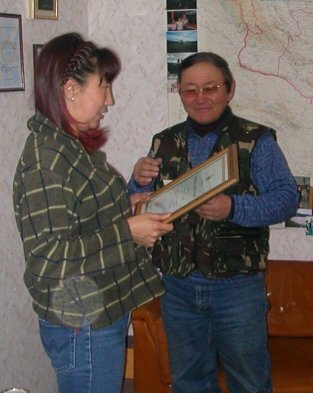 J. Mishig (pictured) receives a certificate of appreciation from D. Ariunaa for his role in Boojum's work in Mongolia. 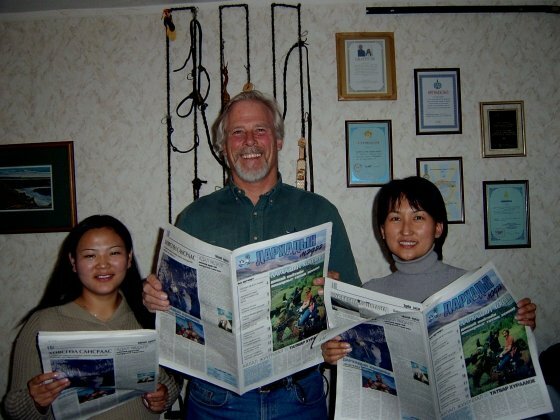 Another first for Boojum and Mongolia was the publication of the Darhad News, a 16 page, four color newspaper which informed, challenged and inspired residents of the Darhad Valley this Fall. The newspaper featured articles about Darhad history, famous people, poetry, environmental issues, shamanism, Buddhism and development issues. It also informed people about the potentials and pitfalls of tourism development and encouraged dialogue and discussion in the local community. Adjra (chief translator), Kent Madin and Bobo (editor) show off the first issues hot off the press. We hope to make this an annual or bi-annual publication and eventually turn over editing responsibilities to the Renchinlhumbe and Tsagaan Nuur Schools. Send in your trip comments and photographs to be included in the 2005 edition. Two time Mongolia traveler Ed Sawyer spent his Fall vacation in a very distant and mighty cold place, Renchinlhumbe. 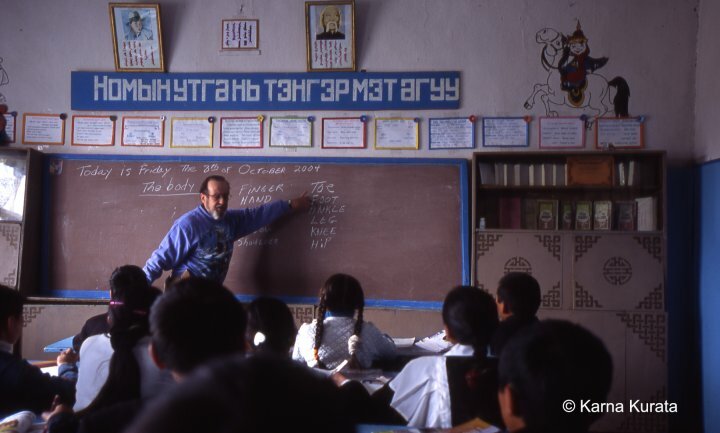 Ed is a very unretiring retiree and when he heard that the Renchinlhumbe school was eager to have a volunteer to assist with English teaching, he jumped right in. Ed got himself to UB and Boojum took him the rest of the way, housing him at the Saridag Inn so that he could comfortably devote his days to the classroom and his evenings to classes for local adults. Everyone at Boojum and KLM want to say a huge thanks to Ed, whose contribution shows how private individuals, private business and local communities can cooperate to everyone's benefit. For information on volunteering to teach English in Renchinlhumbe go here: www.hovsgol.org. Look here to see a recent article from the New York Times on the Mongolian committment to English education. NYTimes Article. Saridag Inn's Caretaker Steps Out: Uganji, our caretaker in Renchinlhumbe, is a remarkable guy, having lost his legs to frostbite when just a boy. 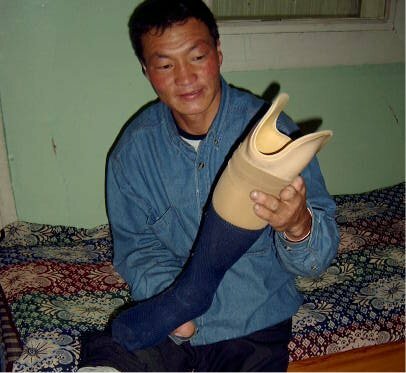 For decades he has managed to ride horses, build houses and do the daily chores of life on homemade prosthetics. He demonstrates a kind of personal grit and good nature to which we should all aspire. 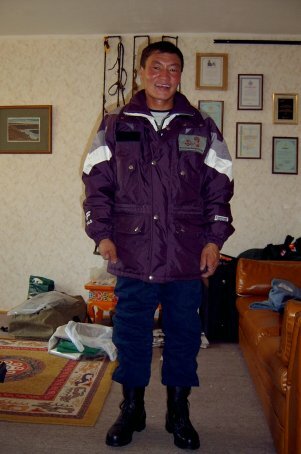 In summer of 2004, with the help of friends at Bioregions International, Boojum Expeditions brought Uganji to Ulaan Baatar to be fitted with brand new, state of the art prosthetic legs. The only problem is that he's now several centimeters taller and keeps hitting his head on the ger door! 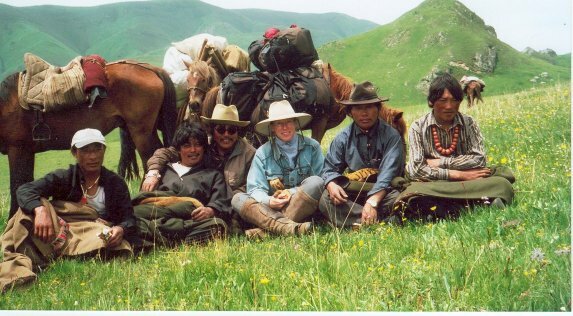 In 2003 Boojum Expeditions was instrumental in bringing a group of five Mongolian performers to the National Cowboy Poetry Gathering. Read about it here: Mongols take Elko by storm, sing songs instead of sacking and pillage. 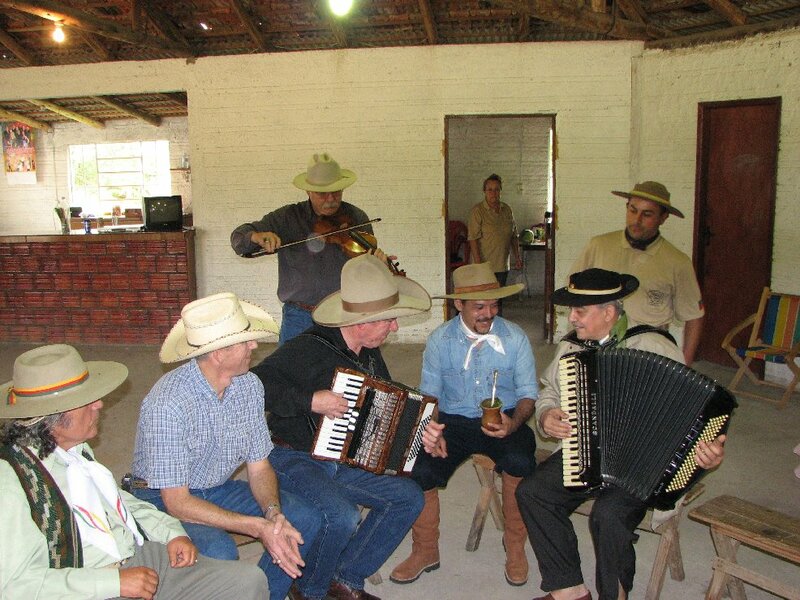 We specialize in Mongolia travel but we also offer adventure travel to Patagonia, Uruguay, Tibet. Horseback riding was our original interest when we pioneered travel adventures to China and Inner Mongolia and Tibet. We now offer tours and travel packages of all kinds in Mongolia (formerly Outer Mongolia) including camel riding, trekking, photography, fishing, horseback riding, culture, visiting Naadam, the Gobi, Lake Hovsgol (Lake Khovsgol) and the nomadic herders of Mongolia. In Ulaan Baatar we have our own offices though we are not really a travel agent, but an outfitter of travel and adventure in Mongolia. If want a riding vacation; whether a horseback riding vacation, a camel riding vacation or a jeep riding vacation, we'll be glad to create a travel adventure across Mongolia for you.